(5 months) Here is a classic – SuperBaby! 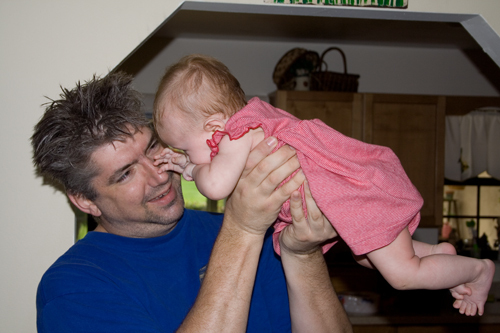 Emily loves to be lifted up to become SuperBaby. Her legs extend out behind her and her arms sometimes extend out in front. Uncle Kenny enjoyed playing this game as much as her Daddy does. Even without the superpowers she is a SuperBaby!